For National Trivia Day, we thought it’s high time we introduced you to some fun facts about Kissimmee! Here are a few trivia gems to impress your friends, or amuse your kids in the car, the next time you’re swinging by Kissimmee, Florida for an airboat ride, or a theme park thrill. 1. Did you know we’re a.k.a. The Vacation Home Capital of the World®? It’s true! With its world-famous theme parks so close by, is it any surprise we’ve got the perfect homes for every Florida vacation dreamer? We’ve got it all—from glorious 12-bedroom mansions, to cozy poolside homes, perfect for bringing the whole family along, or having that family reunion you always dreamed of. Renting a vacation home is a great way to split your time between theme park adventures and bonding time over a hot grill. If you’re planning to visit next holiday season, check out our special holiday vacation homes. 2. The World’s Only Wheelchair Accessible Zipline. Or at least—that’s their story and their sticking to it! Gatorland’s Gauntlet Accessible Zipline brings high-flying excitement to the Alligator Capital of the World, and a memorable experience as you soar 350 feet through and air while passing over their Alligator Breeding Marsh! Er—don’t dangle your feet! 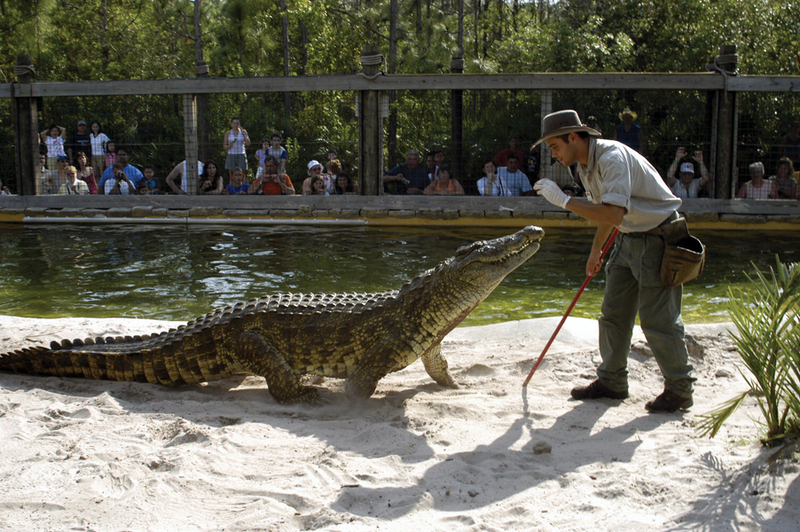 After this thrilling experience, why not catch one of their many educational and entertaining shows featuring one of Florida’s most famous creatures—the alligator, of course! With 396 holes to golf, consider your inner champion challenged. 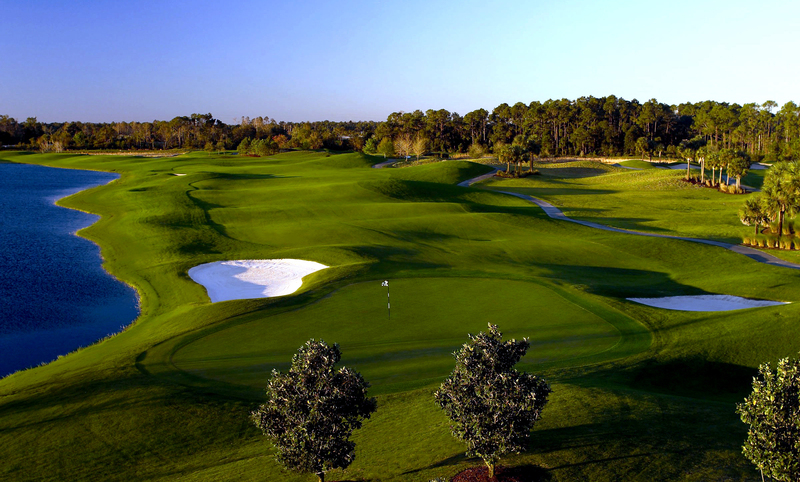 Any way you slice it, the golf courses of Kissimmee are some of the best in the Sunshine State. Our golf getaways include courses designed by legends like Johnny Miller at Harmony Golf Preserve, Tom Waton, Jack Nicklaus and Arnold Palmer at Reunion Resort, and Greg Norman at ChampionsGate Golf Resort. The year-round sunny weather means it’s always tee time in Kissimmee. Sorry Texas, but Florida was first when it came to cowboys in the United States. Before it was a dream vacation destination, one of Kissimmee’s old nicknames was “Kowtown,” where ‘cracker cowboys’ (named after the ‘crack’ their whips made) tended to herds of cattle on large ranches. Ranching was an important part of the local economy until the opening of Walt Disney World in 1971 brought the tourism trade to the area. Even today, you can still see a love of cowboy heritage and culture and get a taste for yourself, through the annual Silver Spurs Rodeo—largest rodeo east of the Mississippi. The twice-yearly rodeo is a longtime favorite for locals and visitor alike, and happens at the Silver Spurs Arena in Osceola Heritage Park. Or, you can get a taste of cowboy life by visiting Forever Florida, a 4,700-acre eco-tourism attraction where you can take a ride on a Wild Coach Adventure, or play cowboy for a day with your friends while riding horseback. Or at least, live together. Southern Florida is the only place in the world where American alligators and American crocodiles co-exist. You can learn more about the unique crocodilians with interactives exhibits and shows at Gatorland, or try and spot a few in the wild for yourself during an airboat adventure with Wild Florida. Don’t forget to stop by their gift shops for unique, gator-riffic souvenirs. Originally a master-planned community developed by The Walt Disney Company, this close-to-the-magic destination is now one of the cutest places to stay or shop while visiting the area. We recommend a stroll in the park, enjoying a cold macaron glacée at Le Macaron, grabbing a bite of the legendary “1905” Salad from Columbia Restaurant, or doing a guided tour of the town’s architecture with Celebration Bike Rentals, just around the corner from the charming and boutique Bohemian Hotel located on Lake Rianhard. The name ‘Kissimmee’ itself means long water, and the city is named after the Kissimmee River. 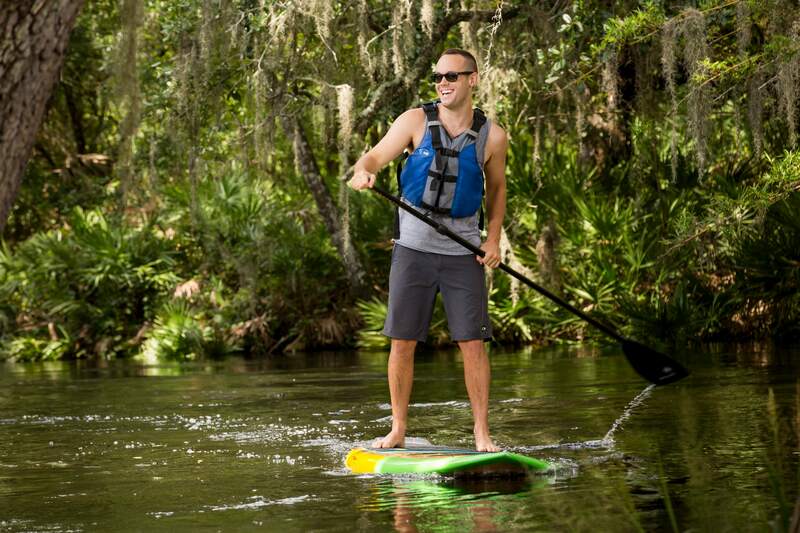 Shingle Creek, known as the headwaters of the Everglades, runs through the town, and you can take a relaxing canoe, kayak, or standup paddleboard trip through its historic waterways with The Paddling Center at Shingle Creek. You’ll float beneath 100-year-old cypress trees, and maybe even spot a turtle or two! The nearby Pioneer Village at Shingle Creek gives a taste of what Florida life was like back in 1900. You can peruse an old-time general store, gaze at pioneer artifacts, and visit a sugar cane mill. What’s Your Favorite Kissimmee Fact? Did you know any of these 7 Fun Kissimmee Facts already? Any that surprised you? We love to keep the conversation going over on social media. Tag us @ExperienceKissimmee on Instagram, @Kissimmee on Twitter, or visit the Experience Kissimmee Facebook Page where you can drop us a line in the comments. We can’t wait to see you in Kissimmee! And if all this trivia talk has left you thirsty for more fun facts, we recommend you check out the Osceola County Welcome Center and History Museum, or the Kissimmee Air Museum while you’re here.